Anna Kelly is a member of the Firm's Personal Injury group and primarily focuses on civil litigation. She devotes her practice to a variety of matters ranging from personal injury cases on behalf of injured parties to defending companies involved in large-scale federal and state investigations. She has also handled and assisted the Firm in litigating high profile cases on behalf of crime victims. Since starting with STSW in January, 2017, Ms. Kelly’s practice has varied from defending a laboratory involved in a government healthcare fraud investigation to litigating a high-profile misconduct case against a boarding school. She has brought actions on behalf of clients who have lost a family member and/or been injured due to a larger company’s negligent hiring and training and supervision of its employees. She has also been involved with the presentation of evidence and eventual settlement of a class action case brought against a high-profile synagogue for its negligent actions. 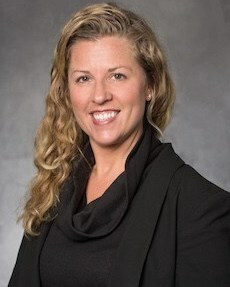 Prior to working at STSW, Anna Kelly was the Director of Contracting and Compliance at Remedi SeniorCare, a long-term care pharmacy, where she handled any and all contract negotiations and/or issues with long-term care facilities and vendors on behalf of the company, as well as any and all compliance issues. Anna Kelly also worked on behalf of the State of Maryland in the Office of the Attorney General’s Medicaid Fraud Control Unit where she led investigations and handled any litigation related to qui tam and other civil false claims cases in both state and federal courts, as well as criminal prosecutions relating to Medicaid fraud and failure of care cases involving vulnerable adults receiving Medicaid-funded services. Anna Kelly began her career at Whiteford, Taylor & Preston, LLP as an associate in the Commercial Litigation group where she obtained an extensive array of litigation experience as a trial and appellate advocate, handling a wide range of cases, from business disputes to personal injury actions, premises liability suits and toxic tort/environmental claims.